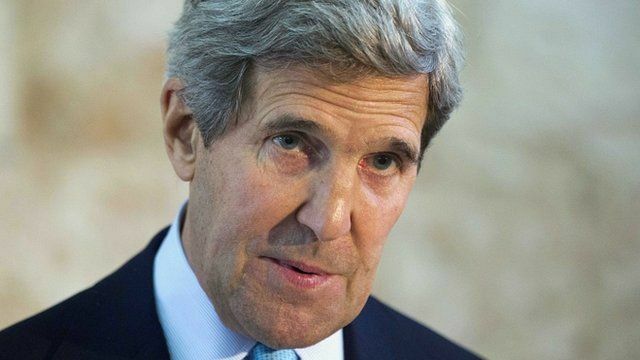 Kerry hails Middle East 'progress' Jump to media player US Secretary of State John Kerry says there has been "real progress" towards restarting Middle East peace negotiations after meetings with Israeli and Palestinian leaders. 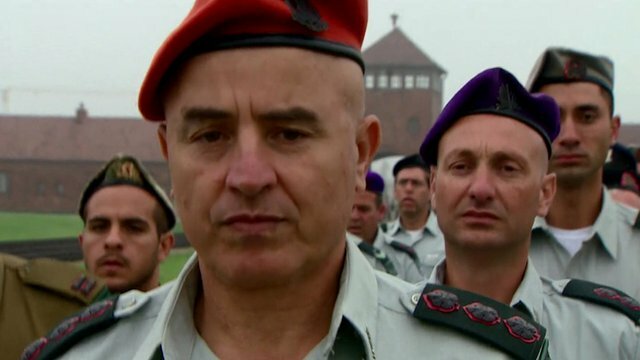 Will Israel bomb Iran? Jump to media player Middle East editor Jeremy Bowen explores what might happen if Iran continues with its nuclear programme. 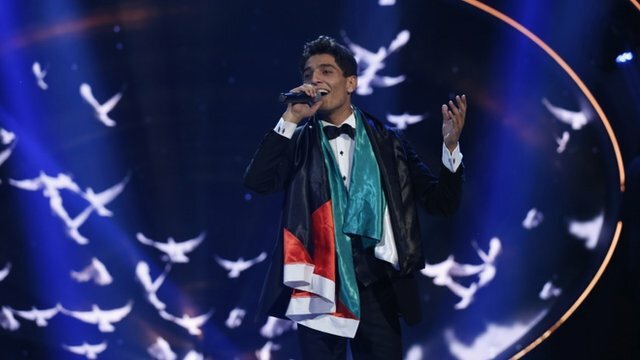 Palestinians celebrate Arab Idol win Jump to media player Celebrations have erupted across the Palestinian territories at news that a wedding singer from the Gaza Strip has won the Arab Idol talent TV show. 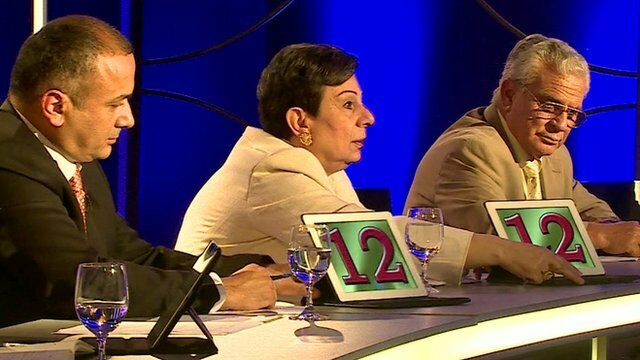 Reality TV show 'chooses president' Jump to media player Palestinian TV show sees audience choose a leader after candidates undergo a series of tests including evading an assassination attempt. 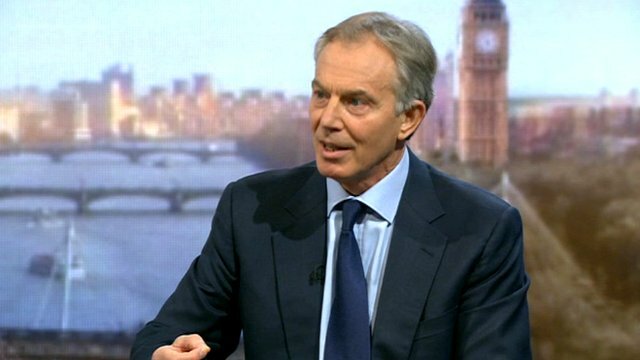 Blair on Cameron, struggle and EU Jump to media player Full interview from The Andrew Marr Show with Tony Blair on the troubles in Mali and Syria, and the potential EU referendum. US Secretary of State John Kerry says there has been "real progress" towards restarting Middle East peace negotiations after meetings with Israeli and Palestinian leaders. Mr Kerry has been shuttling between Palestinian President Mahmoud Abbas and Israeli Prime Minister Benjamin Netanyahu for the past three days. Speaking as he left the region, he said the talks had begun with "very wide gaps", but "we have narrowed those considerably." We apologise for the poor sound quality. 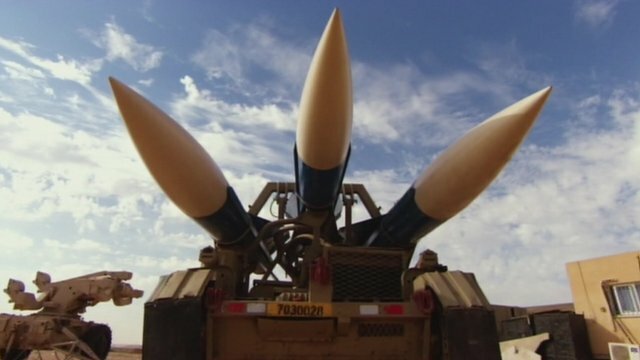 Go to next video: Will Israel bomb Iran?